Posted on 08/20/2011 10:11:43 PM PDT by Why_are_Democrats_stupid? Over the next 18 months, the Environmental Protection Agency will finalize a flurry of new rules to curb pollution from coal-fired power plants. Mercury, smog, ozone, greenhouse gases, water intake, coal ashits all getting regulated. And, not surprisingly, some lawmakers are grumbling. Industry groups such the Edison Electric Institute, which represents investor-owned utilities, and the American Legislative Exchange Council have dubbed the coming rules EPAs Regulatory Train Wreck. The regulations, they say, will cost utilities up to $129 billion and force them to retire one-fifth of coal capacity. Given that coal provides 45 percent of the countrys power, that means higher electric bills, more blackouts and fewer jobs. The doomsday scenario has alarmed Republicans in the House, who have been scrambling to block the measures. Environmental groups retort that the rules will bring sizeable public health benefits, and that industry groups have been exaggerating the costs of environmental regulations since they were first created. So, whos right? This month, the nonpartisan Congressional Research Service, which conducts policy research for members of Congress, has been circulating a paper that tries to calmly sort through the shouting match. Thanks to The Hills Andrew Restuccia, its now available (PDF) for all to read. And the upshot is that CRS is awfully skeptical of the train wreck predictions. 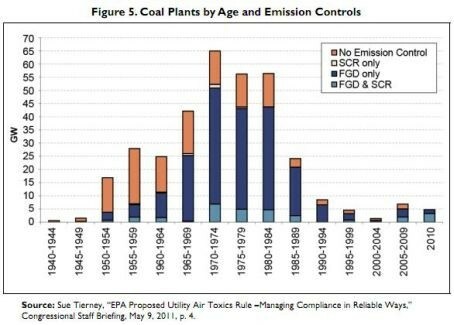 First, the report agrees that the new rules will likely force the closure of many coal plants between now and 2017, although its difficult to know precisely how many. For green groups, thats a feature, not a bug: Many of these will be the oldest and dirtiest plants around. About 110 gigawatts, or one-third of all coal capacity in the United States, came online between 1940 and 1969. It is time to fire up the Tea Party protest machine and take this country back! 1 posted on 08/20/2011 10:11:46 PM PDT by Why_are_Democrats_stupid? Wait till they see what this does next summer to the large cities. Most large cities are Democratic strongholds. Boston, NYC, Philly etc...a hot summer with no electric will be an awakening. Those with electric won't be able to afford it. If you think Obummers poll numbers are low now, wait till people are sitting in dark cold houses as these blackouts take effect. I don’t see how he runs again. LBJ ‘68. No it won’t. But our rates will go up. 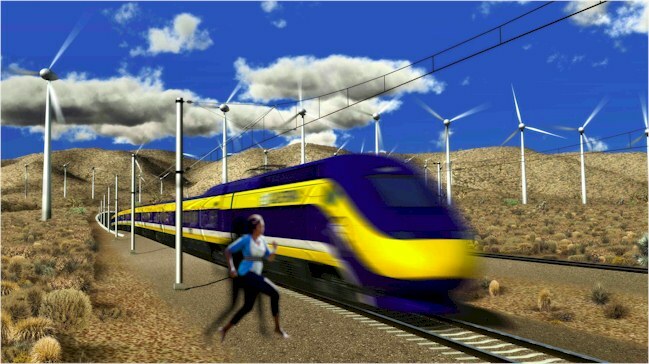 It’s going to be a hoot watching the progressive liberal bastards looking for a place to plug in their Voltswagens. LOL! Time for Sen. Joe Manchin to switch parties. This proves that Obama will definitely have riots going on next year at the height of the primary season as this article states, Obama Sets Up America for Helter Skelter 2012 Summer. Obama wants a race war and he is doing everything he can do to turn blacks against rich white people. The problem is blacks think all white people are richer and better off than them. So they will do what they have been doing this past dumber. Attacking white people all over the country in these cities that will be cooking with to power to run ACs. No comments from Sen. Jay Rockefeller, or Sen. Joe Manchin? Why the surprise...both Biden and Obama promised to bankrupt the coal industry during the elections. We need some of those Chinese “clean coal” plants here in the US. Most urban areas are potential powderkegs that are only one extended blackout away from chaos...this will usher it in before the election. Thousands of unemployed waited overnight, camping out in their business suits and office heels and braving the tormenting heat in Atlanta to stand in line for a job fair Thursday. Authorities treated 20 people for heat exhaustion as they struggled to keep the line moving and get people moved inside. I don't know about interracial fighting. This is a thousand Blacks that showed up for a For The Peoples job fair this week. I think that Obummer has a bigger problem on his hands than he knows. As it is going. he will have Blacks, Whites, Hispanics, Jews and Eskimos in a common cause to get rid of him. That's the whole idea. The inner city folk are expected to riot and burn baby burn. Obama WANTS to destroy this country, the sooner you understand that, the sooner you will understand everything that has happened under his "leadership". Burn wood. It is a renewable Carbon footprint! Canned goods an ammo. The best stocks to buy right now. Time to get that auto standby generator I want. Coal is King - Just ask the developing nation of China! See everything our beloved President is doing to make our lives better. However, I think I will just stay here in Southeast Asia enjoying my air-conditioning and generally civilized life. Besides, my blood pressure is much improved by not seeing my leader on TV every thirty seconds. I understand what Obummer and his cadre of radical Communists are trying to do. I just don’t see any evidence that he and the crew are competent enough to do it. This Regime is the stupidest bunch of losers I have ever seen. There will be no insurrection. Just a very disgraced President being thrown out of office. After seeing the ‘10 midterm, I have faith that the American people will do the right.